Yesterday I made a little discovery that I’m just thrilled about. I came across a post on a Facebook Group that I am a member of called Unprocessed Ireland (about all things natural health/wellbeing) where members were discussing foot pain first thing in the morning when they get out of bed. As soon as I read that, I went, A HA! That’s me! I’ve had foot pain first thing in the morning (and after sitting down for awhile) ever since my chemotherapy. I had asked my oncologist about it but he just said it was something that happened after chemo sometimes. I have often wondered (and worried) about it off and on over the last year. I worried it was a sign of my cancer returning, or inflammation in the feet (when I’ve been trying so hard to avoid inflammation). But yesterday, I found the answer at last! It’s called plantar fasciitis, it is inflammation and it’s common after chemotherapy. Plantar fasciitis is one of the most common causes of heel pain. It is when the ligament (band of tough tissue) that connects your heel bone to the ball of your foot becomes swollen and irritated. This ligament is called the plantar fascia. The plantar fascia also supports the arch of your foot. I’ve always had very weak arches in my feet (my feet do that funny inward-collapse when I walk) so when I read this description, everything started to make sense. I guess the chemo may have targeted a weakness that was already there? Plantar fasciitis usually feels like a burning, stabbing, or aching pain in the heel of your foot. Sometimes, the pain may go up to the front of your foot but goes away after a few minutes when the tissue warms up. Most people with plantar fasciitis feel pain when they step out of bed in the morning. You may also feel pain after long periods of standing, physical activity, or at the end of the day. Hooray! Now that I’ve put a name to this bother, I already feel better about it. So what happens for me is when I get out of bed in the morning, and take a few steps, there is pain in my feet, which I can only describe as the sort of pain you get after you’ve done a lot of exercise and your muscles are stiff. That sort of, lactic acid pain. After I walk around a little (to the bathroom and back, say) it’s gone. It’s definitely been improving over the last few months now that I have finished all my treatment, but it is still lingering. And it was pretty bad during chemotherapy and the few months after. When you Google it (and you all know I hate Googling medical issues!) you get a lot of helpful information saying that you need supportive shoes with a good arch support and that the services of a great physiotherapist or chiropodist can help if you feel the pain is really bad. There was also a suggestion of rolling a rolling pin under the arch of your foot while sitting on the couch, as a gentle stretching exercise for the arch muscle. With the warmer weather here, I recently bought myself a pair of cheap leather flip flops. You know the ones, really flat, with a toe-post design? And no strap at the back? Well, I think it’s safe to say that they haven’t been helping. 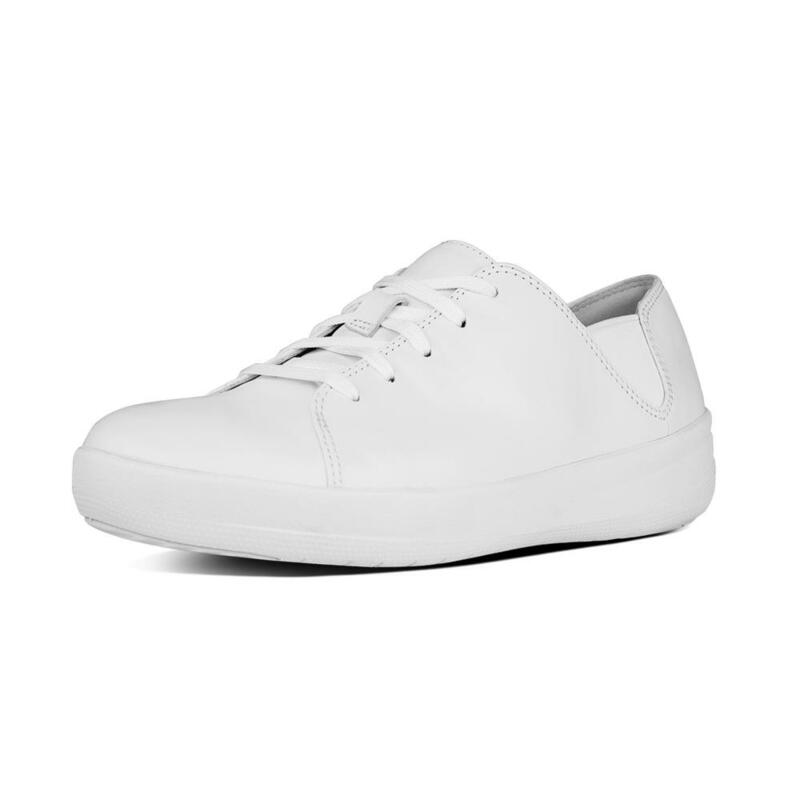 For quite awhile now I’ve wanted to purchase a pair of classic white sneakers. A pair that will look good at the bottom of a pair of skinny blue jeans (my mom uniform) and suitable for all the walking I do with my little man these days. Something comfortable and hard-wearing. Something I can wear those lovely little cute ankle socks you see everywhere in the shops these days with. I found my way on to the Fit Flop website and – there was a sale on. Can you believe it?! That never happens to me. It must have been my lucky day! Don’t they just look so comfortable? I can’t wait for them to arrive. I’ll let you know how I get on with them and if they help with the plantar fasciitis I’ve been experiencing. I’m also going to do the rolling pin exercise and I’ll let you know if that helps too. It feels great to tackle this little problem that has been bugging me at last!